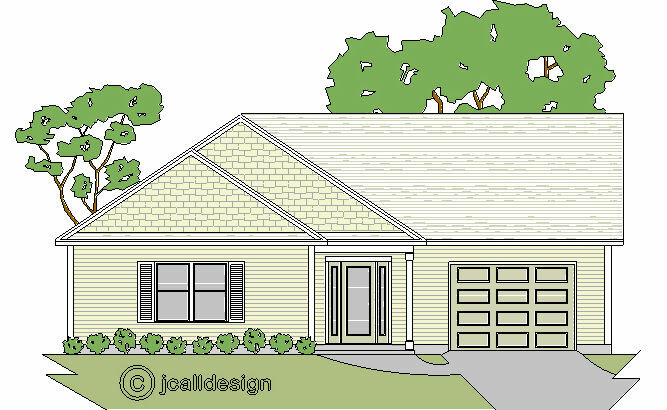 This three bedroom narrow lot ranch house plan has great curb appeal and is just the right size for a young couple starting out or a retired couple that are looking to downsize. We can add the optional carport and storage shed if the lot is wide enough. 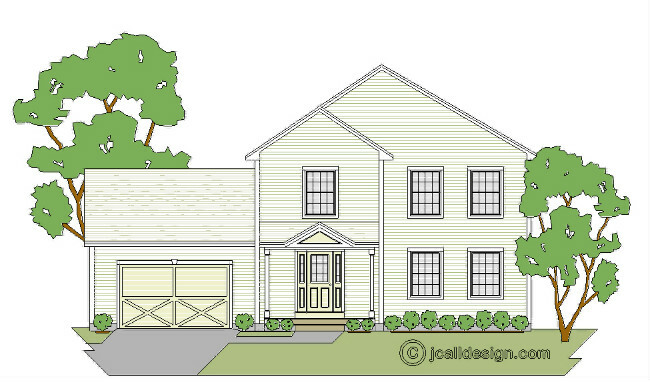 This 3 bedroom modern colonial home plan is just right for a young couple starting out. 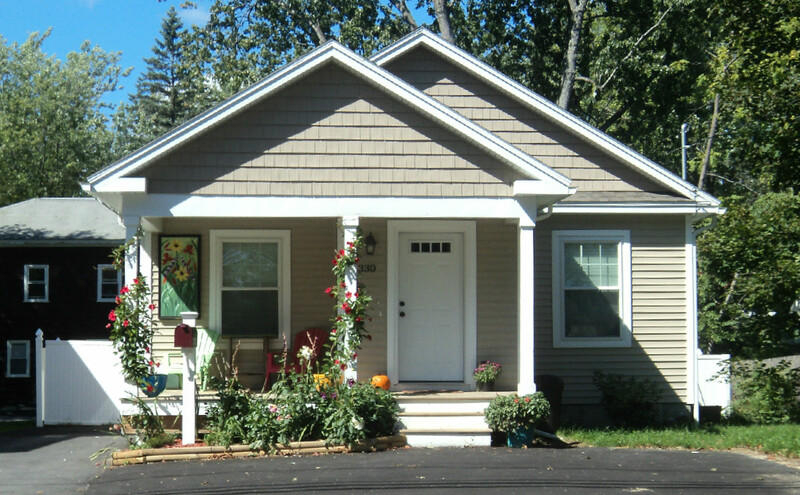 It's small size is affordable to build and inexpensive to maintain. It also works well on a small lot. 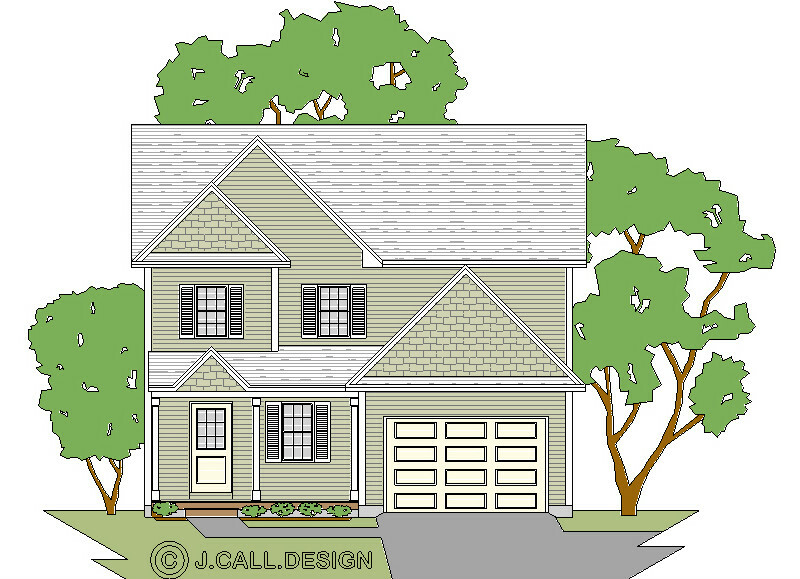 This 3 bedroom modern colonial narrow lot home plan with a 2 car garage will work wonderfully for most young families. The open concept makes the first floor feel bigger than it actually is, and the second floor makes exception use of it's small footprint. 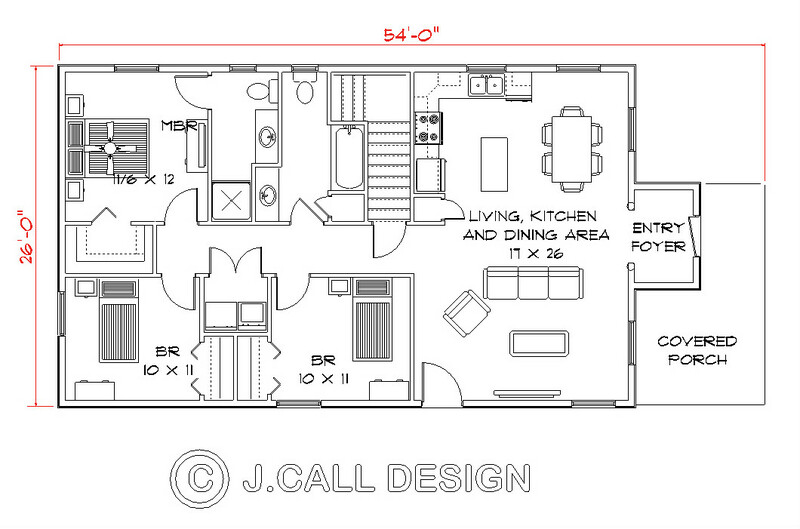 This 3 bedroom narrow lot home plan offers a great dollar value for first time home buyers. The open concept first floor makes it feel roomy and the three bedrooms up are as large as they would be in any starter cape. 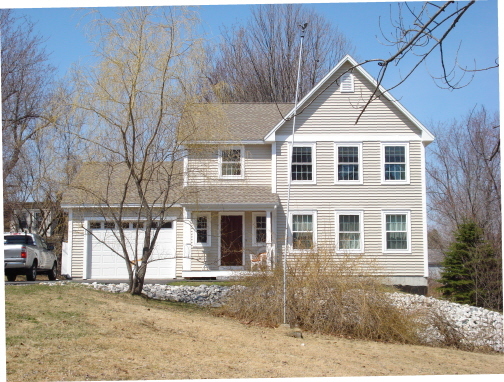 This makes a great spec house for a builder with a narrow lot. 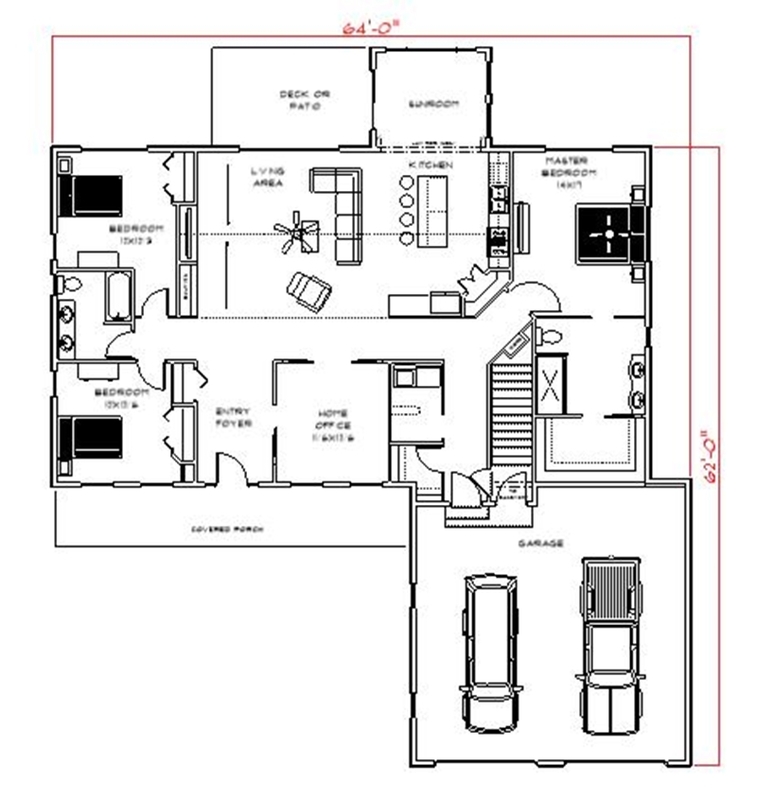 This small narrow lot home plan would work just as well for a young couple as it would for a couple of retirement age. The open concept living with a tray ceiling makes it feel bigger than it is. The kids' rooms are average size and the master bedroom is large enough for even a king size bed. The 2 car garage has storage above via a pull down stairway. 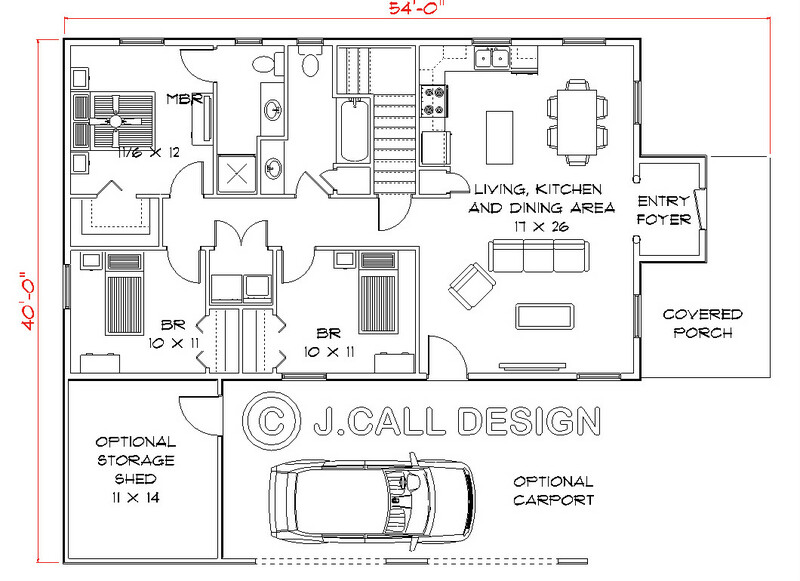 This 3 bedroom raised ranch narrow lot home plan is perfect for the guy that wants a large garage in a small footprint. 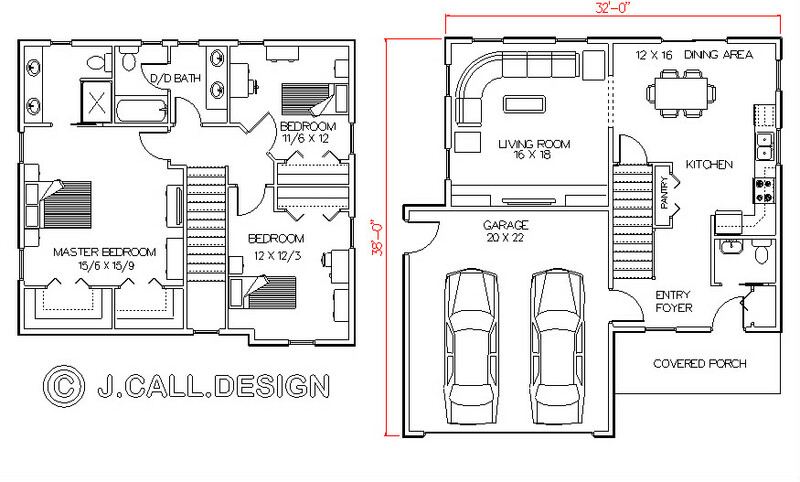 The easy living openness of the second floor living space above the garage will work well for a young family. 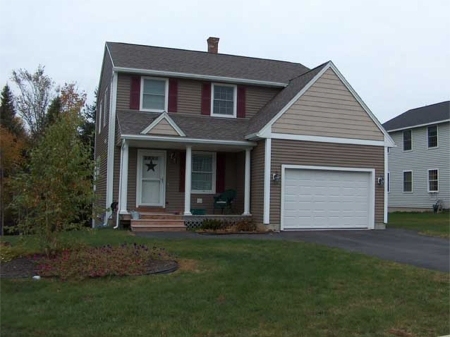 This 3 bedroom small colonial narrow lot home has an upstairs that is larger than the Calais plan above with larger kids rooms, a larger master bedroom and an added bathroom. The first floor has the same open concept that make it feel larger than it really is. 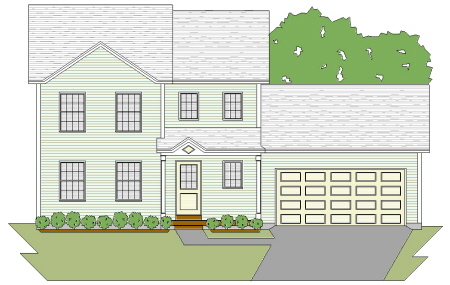 The front porch and second floor bump-out add curb appeal to this 3 bedroom modern colonial, narrow lot home plan. It features a first floor with great traffic flow and an upstairs with very comfortably sized bedrooms for its small size. 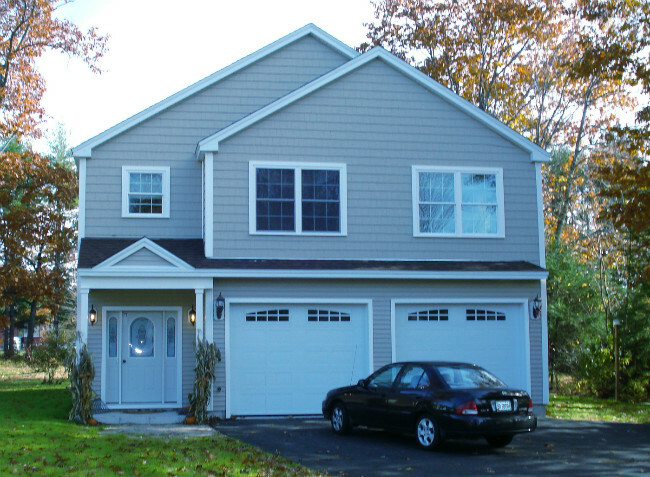 The oversize one car attached garage is a great option for city dwellers during those snowy New England winters. This is the same plan as the Norwich A with a larger garage. 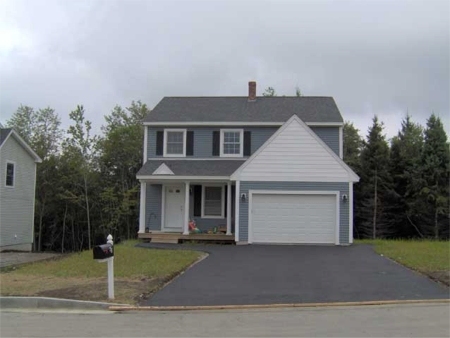 The front porch and second floor bump-out add curb appeal and the 3 bedroom modern colonial, narrow lot home plan is just right for a young family looking for something with a bit more curb appeal than a box Colonial. It features a first floor with great traffic flow and an upstairs with very comfortably sized bedrooms for its small size. 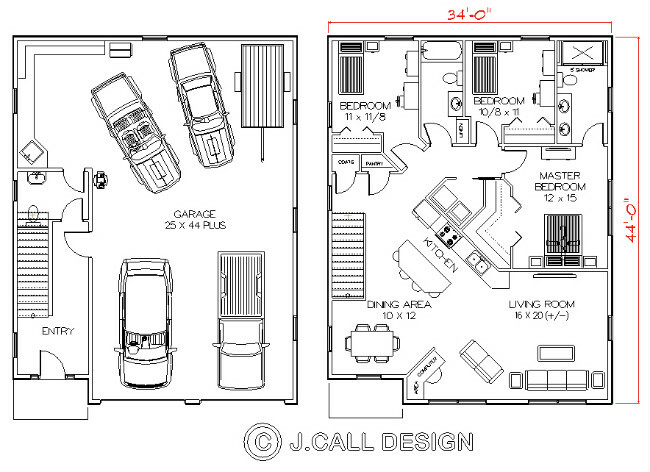 The 2 car attached garage is a great option for city dwellers in the wintertime. 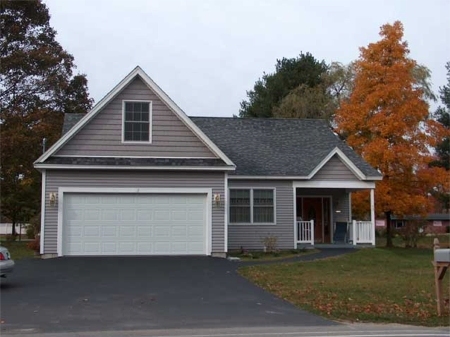 This 3 bedroom narrow lot colonial home plan is identical to the Lisbon above except that the living room is bigger and the garage is a bit smaller. It has the same open concept feel downstairs and the same large bedrooms and 2 baths up. This is a very affordable alternative to renting. 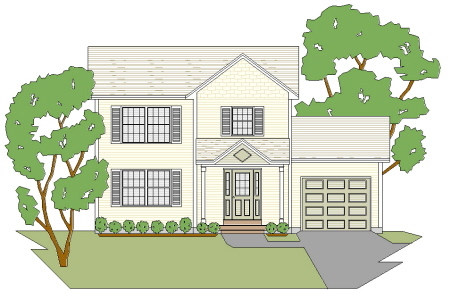 This 3 bedroom narrow lot modern colonial home plan has plenty of curb appeal. It's just the right size for a family starting out. The semi-open concept first floor has large rooms for it's compact size. 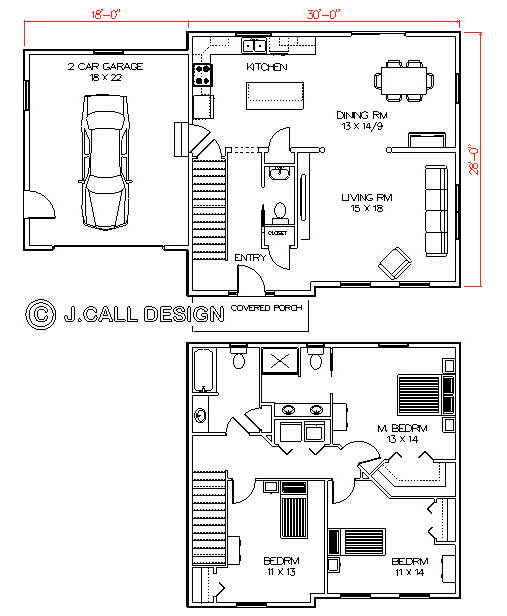 The second floor also has 3 comfortable bedrooms and 2 bathrooms, The one car garage should still work on a narrow lot. 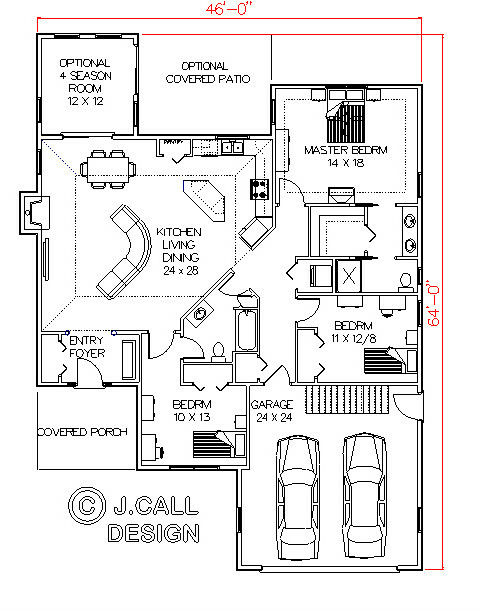 OK Guys, if you want a new home plan with a large garage for you and a sweet floor plan for the wife, this is it. 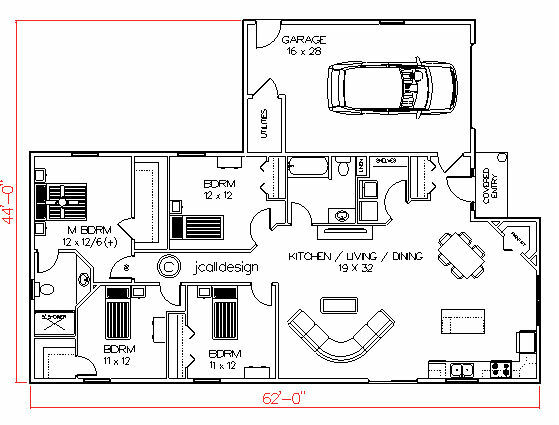 Just look at the garage that is large enough for 4 cars plus. 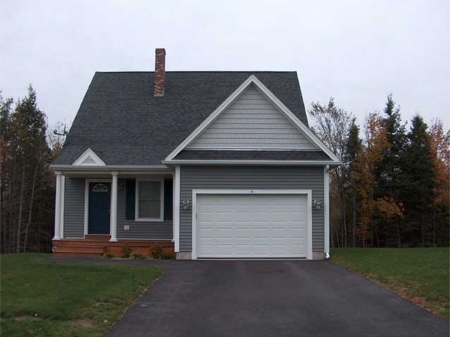 Upstairs the open concept living area, large bedrooms and 2 bathrooms should please just about anyone. By this plan and you'll never need to worry about having enough room to keep your toys out of the weather. 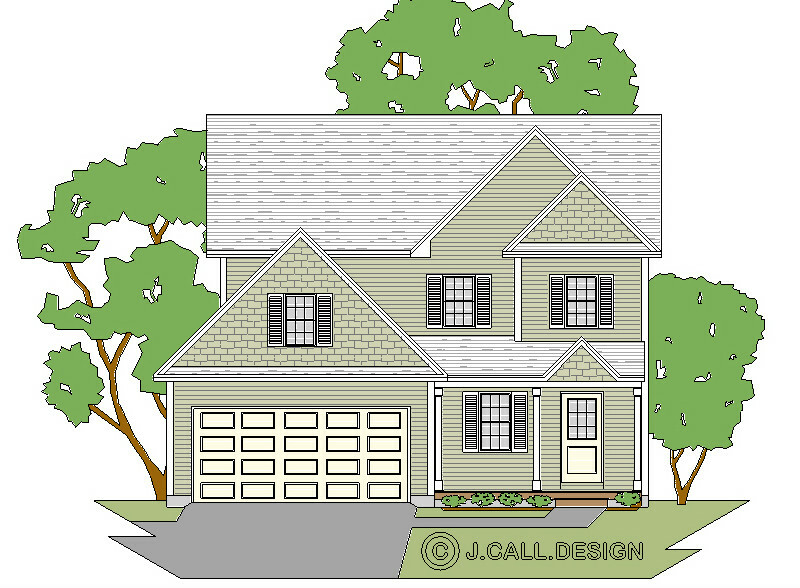 This adorable 3 bedroom modern colonial home plan with a porch and garage has plenty of curb appeal. The open concept first floor plan feels very large, and the second floor bedrooms are all nicely sized for a small footprint. 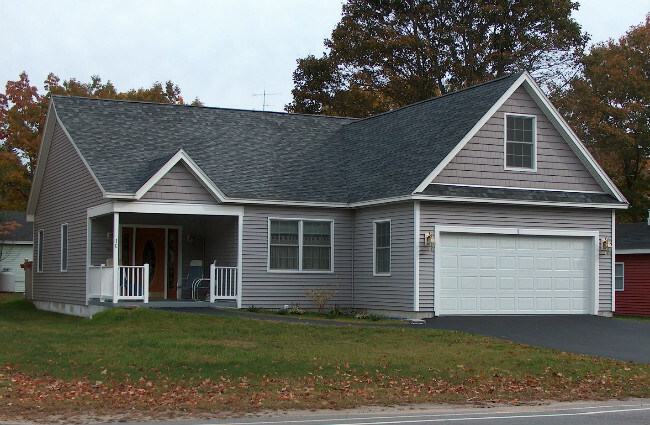 The one car garage works well for a narrow lot home plan. 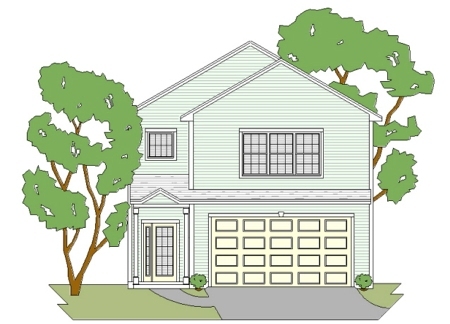 This 3 bedroom narrow lot home plan is a larger version of the Pittston home plan above. It is ideal for a young family or retirement living. The open concept tray ceiling living area makes it feel bigger than it really is. It has an optional sun room or den. The kids' bedrooms are average size and the master suite is more than large enough for a king size bed. The 2 car garage has pull down stairs for access above.